Offering you a complete choice of products which include frp module mounting structure, fiberglass supports/frame for mounting solar panel, solar module mounting structures, solar panel module mounting structure, module mounting structure and frp module mounting structure for solar panel. Our FRP Module Mounting Structure consists of lots of things suitable for providing best solution for industry need. It consists of lots of things that is capable for understanding clear idea of FRP MMS properties forever. this involves many things and hence suitable for getting various standards levels for your need and want. This bring forth necessary option to meet the quality levels and increase the surface treatments. It is known for quality standard so that everyone get attention on the offering of FRP storage MMS services. 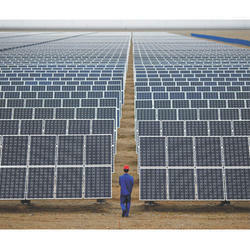 We emerged as one of the leading and very trusted manufacturer of Fiberglass Supports/Frame For Mounting Solar Panel. We are having with us skilled and experienced man force to handle the production process. We keep a strict eye on the production unit to ensure that there is no manufacturing defect in the product. We source quality raw materials from the leading vendors in the market. Use of latest technology and equipment is made to design the Fiberglass Supports. We make this product available in the market at affordable price range without compromising with the product quality. Place your order in bulk for discounted rates. We engaged in the Solar Module Mounting Structures manufacturing all over India. Our manufacturing product designs and specifications suitable to all the clients specific conditions to reduce the field installation, no filed drilling, welding or on-site fabrication. The pre-engineered structures are quick to create, easily withstand and economical without maintenance. The professionals executing innovative technology make the product deliver many benefits to the client. 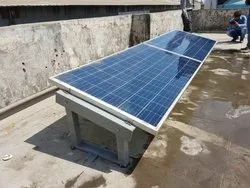 You can see the benefits of the solar module mounting structures fast and easier to assemble, well-protected structures on all climate conditions, optimal surface handling for superior corrosive resistance, huge durability, total safety and so on. 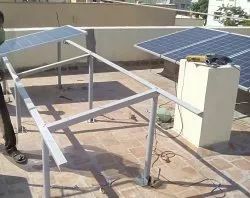 We deliver the huge range of the Solar Panel Module Mounting Structure, which comes with the tubular section MS angle section, square and much more additional support. This company provides the turnkey solution for all type of the structure such as the fabrication, designing and much more installation. It built with the lightweight and high durable to make use with real comfort. With the experience engineer, we under go to design excellent solution for all type of product. It is applicable for the customer to utilize all weather with no trouble of it. It has minimum service life up to 25 years, which assist to provide the special support for the customer. We are offering Module Mounting Structure which is adaptable and can be a tremendous load. We offer finish turnkey outcome for a sun-based mounting structure that incorporates planning, generation, manufacture, and venture administration and establishment. Structures are a phenomenal outcome for provincial properties as they can be utilized on the bumpy and unpleasant territory. 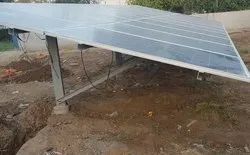 It is specially designed with the high quality that allows the customer to hire right structure of the solar panel with the no risk of it. Most of the buyer search ends up with the FRP Module Mounting Structure for Solar Panel due its updated features and comfort. It is build with the high quality material, which assure to obtain the expected output for the user. We are product to say that we deliver the Module Mounting Structure with the different size. It is commonly use as the industrial application and it made up of the strong structure. Even it delivers the special comfort and essay to make use in a fine manner.